The 2016 Beyond Zero Emissions Renewable Energy Superpower National Tour kicked off yesterday with the launch of a report on how Australia can realise its full renewable energy potential. The document states that the nation’s economically demonstrated renewables resources are 75% greater than coal, gas, oil and uranium lumped in together. “With trillions of dollars in clean energy investment ready to be made globally, nations with abundant, low cost energy like Australia will become the ‘superpowers’ of the renewable energy era,” Beyond Zero Emissions CEO Dr Stephen Bygrave says. However, Australia’s competitiveness in the future will be determined by the decisions and investments made now. Among the recommendations, the report says the Australian Government should set a 100% renewable energy target. Beyond Zero Emissions says Australia’s decarbonisation can be rapid but energy intensive trade exposed industries will require support while electricity productivity is adjusted. Businesses need to take into account long term implications of electricity productivity and emissions reductions to avoid being saddled with stranded assets. 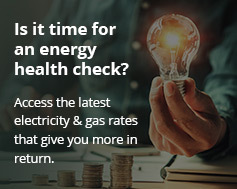 For the average Australian, BZE recommends ditching the gas network and making the switch to high efficiency electrical appliances, power saving retrofits, electric vehicles and rooftop solar power systems. The National Renewable Energy Superpower Tour launched in Sydney with a keynote by the Hon Mark Butler MP. Further tour dates can be viewed here. The Zero Carbon Australia – Renewable Energy Superpower report can be downloaded here (PDF). “Australia has been wasting much of the last five years investing in fossil fuel industries of the last century,” said Tim Buckley, Director of Energy Finance Studies, Australasia, Institute of Energy Economics and Financial Analysis. Beyond Zero Emissions is an Australia-based, not-for-profit climate change solutions think-tank. BZE was recently ranked 6th globally for ‘Think Tanks To Watch’ by the Lauder Institute’s Think Tanks and Civil Societies Program.